On March 11 the White Settlement Police Department SWAT team hosted the Tarrant County 911 District Basic Tactical Dispatch Practical Exercise. This is the second time that the WSPD SWAT team has hasted this event. Designed to give dispatchers an up close look at SWAT operations, the scenario based exercises showed several aspects of SWAT. This included basic tactical deployment with an emphasis on communication responsibilities. 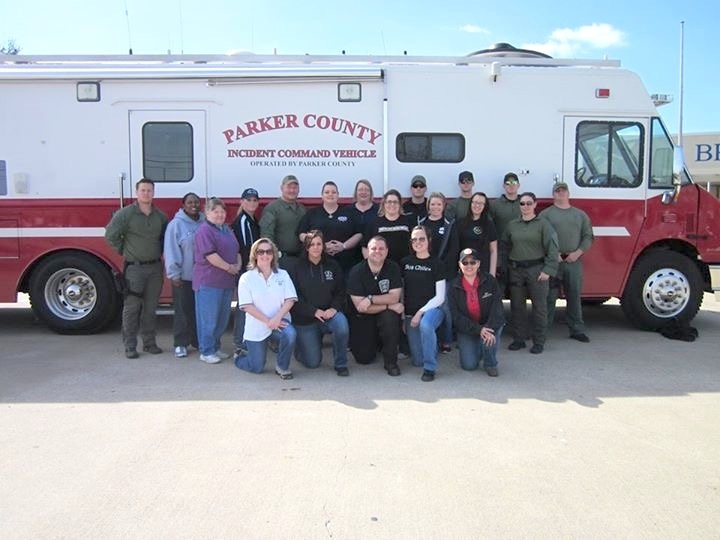 The training was attended by various agencies throughout North Texas. 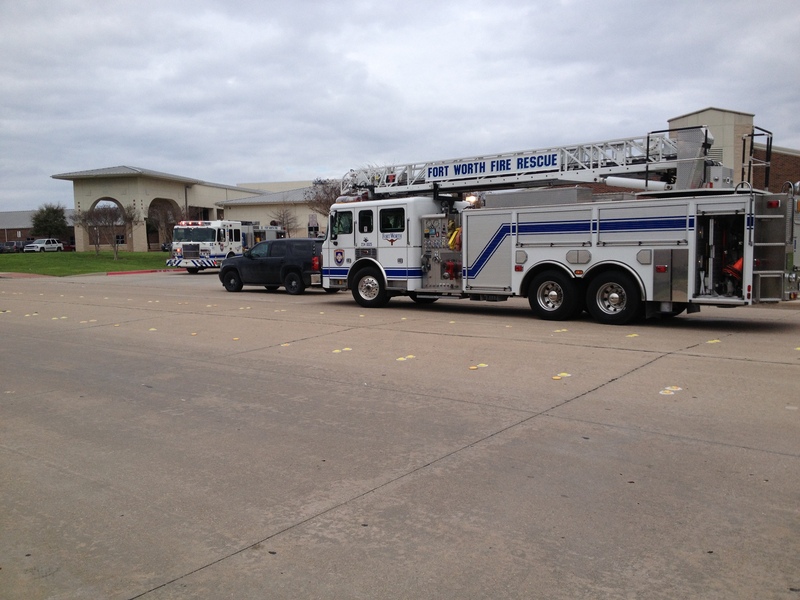 The Fort Worth Fire Department at North Elementary School in WSISD. North Elementary students and staff were evacuated the afternoon of Thursday, March 19 at approximately 2 p.m., and the Fire Department was called to investigate reports of smoke in the building. An air conditioning fan had stopped working, resulting in smoke in an area of the school. Students and staff were able to return to the building within the hour. 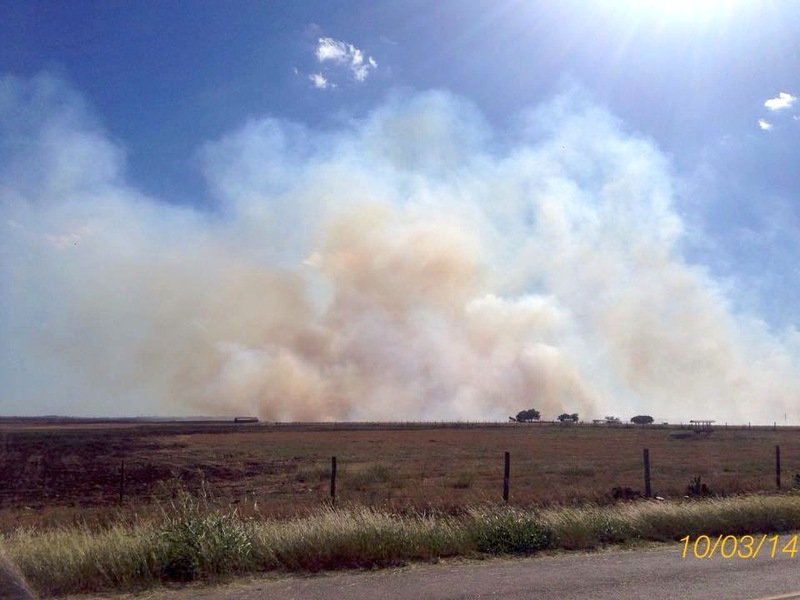 A large plume of smoke to the Southwest of Benbrook on Monday prompted numerous calls to emergency agencies in the area. 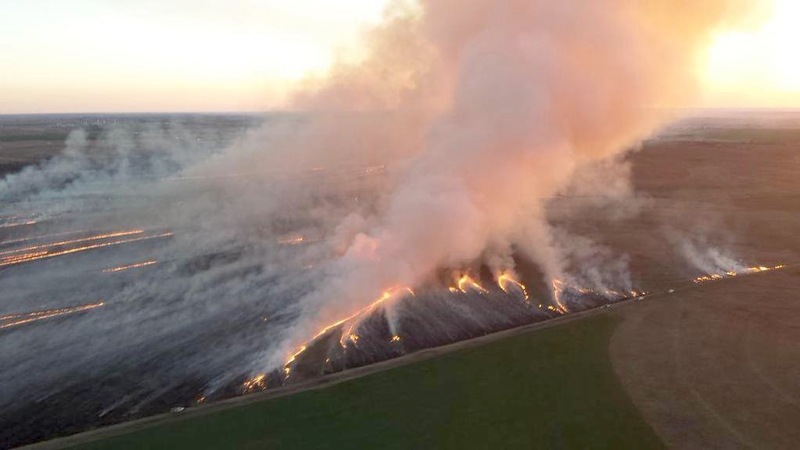 The massive dark colored smoke cloud was from a controlled prairie ecology burn at the Bass ranch near Cresson. The cloud was seen by most in the western half of the Metroplex and as far North as Denton. 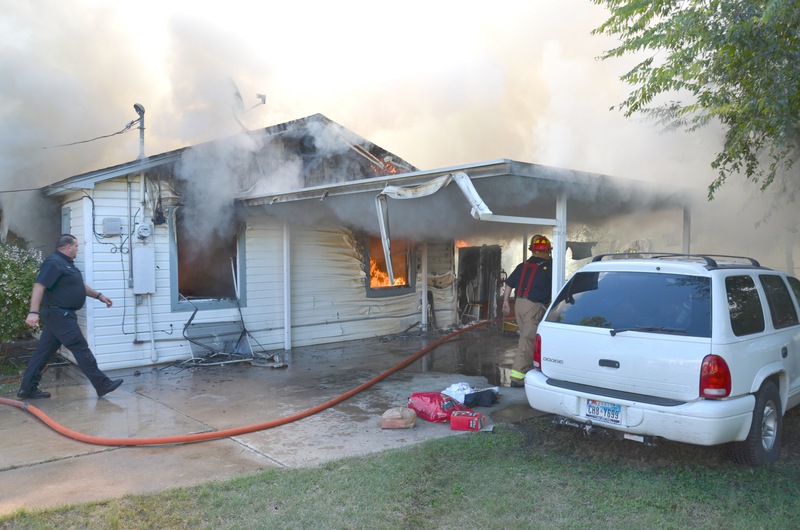 The White Settlement Fire Department (WSFD) was called early Sunday morning to a residential structure fire in the 8200 bloc k of Sussex Dr. in White Settlement. 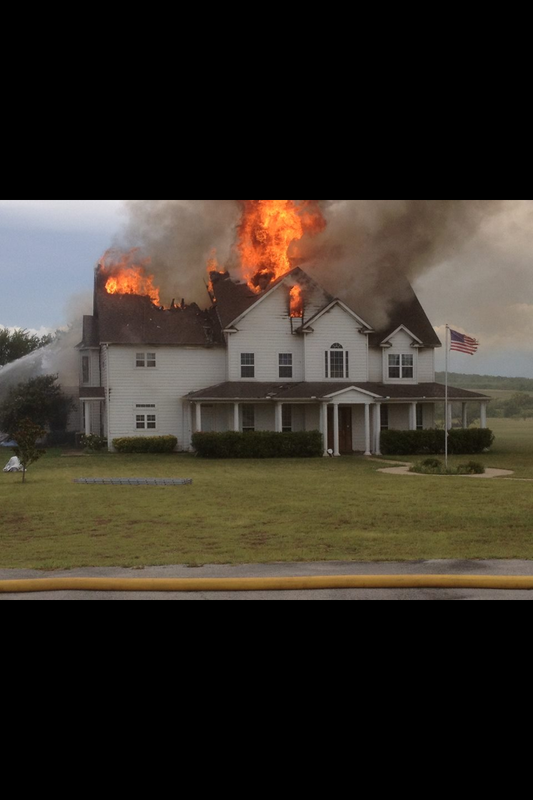 The fire is currently being investigated by the WSFD, Tarrant County and the State Fire Marshal’s office. 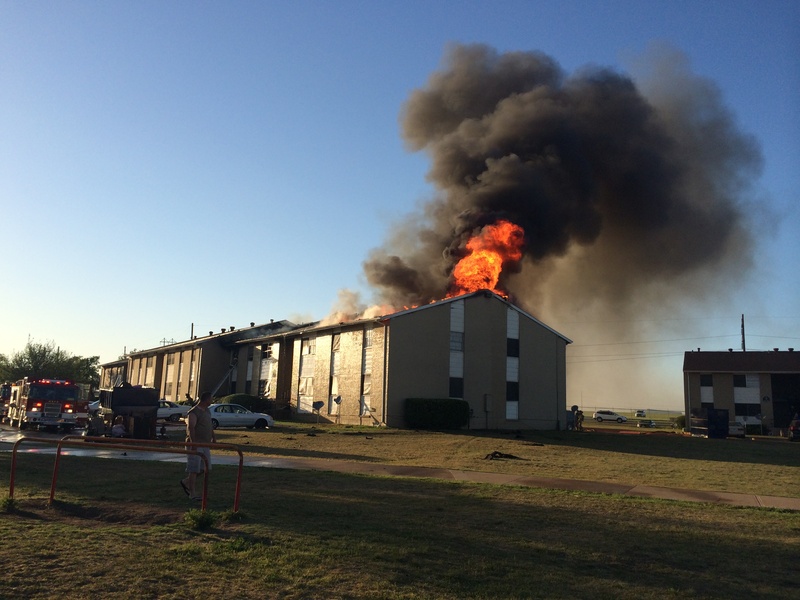 No injuries were reported and the building is believed to be a complete loss. 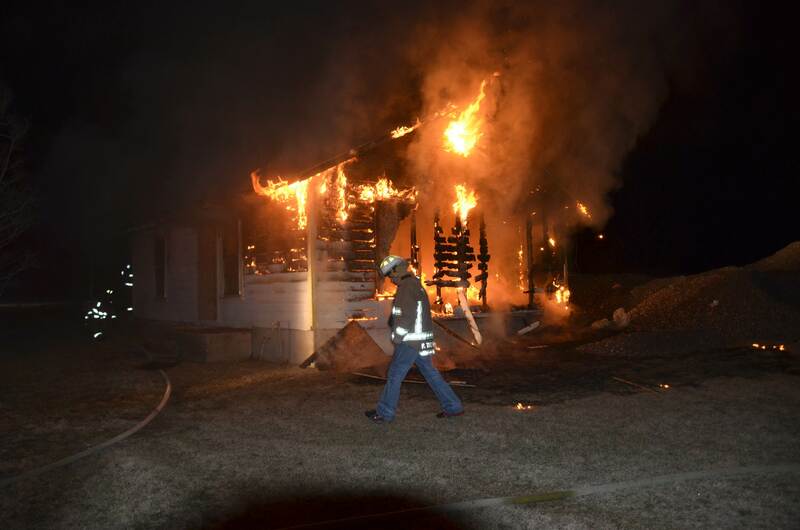 Photo courtesy of the WSFD. 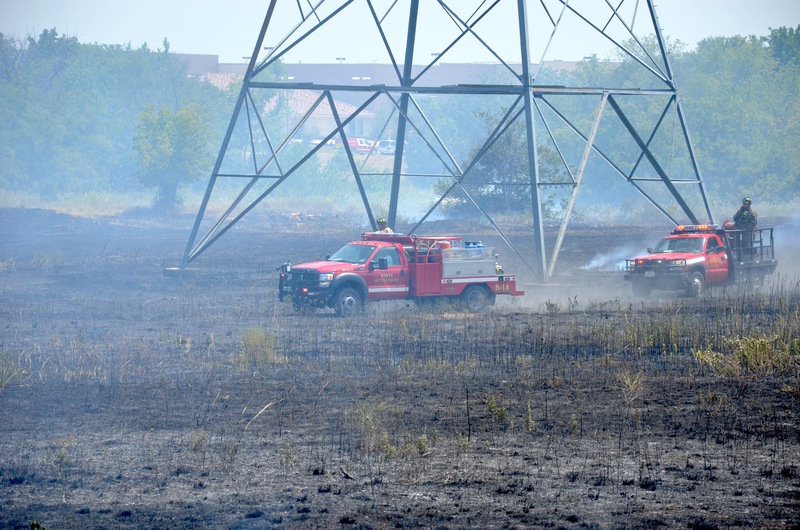 Fort Worth Firefighters battled a large grass fire near North Elementary School in Westpoint this past week as high winds fanned the flames that spread near homes and businesses. 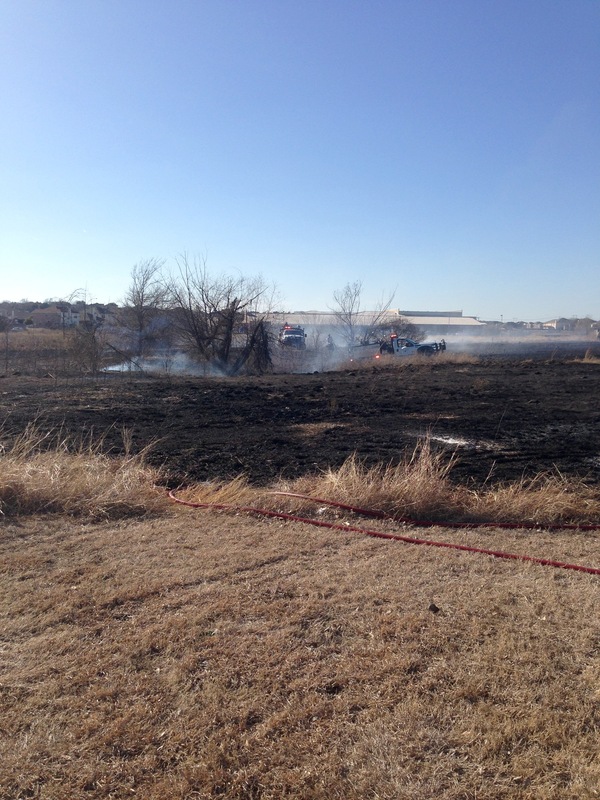 Multiple units were on scene as brush trucks drove through the fields chasing the blaze. 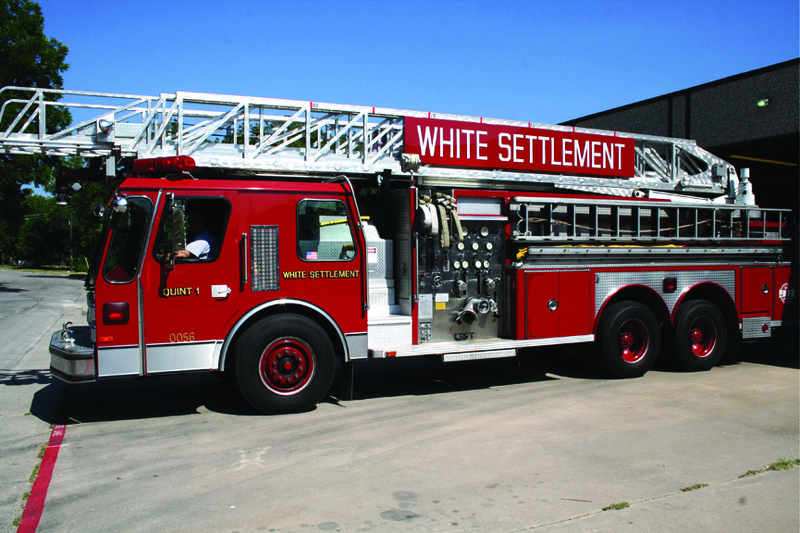 The White Settlement Fire Department was called to the 8100 block of Raymond Street around noon Saturday. 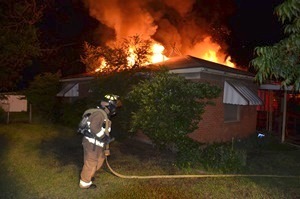 The first arriving crew of Lt. K. Gage, Engineer B. Giles, Lt. C. Giles and Probationary Firefighter B. Harrell found the home fully engulfed in flames. No injuries were reported, but the structure was a total loss. Wilson, a member of the WSVFD, pulled the woman from the burning house on Locke Street. 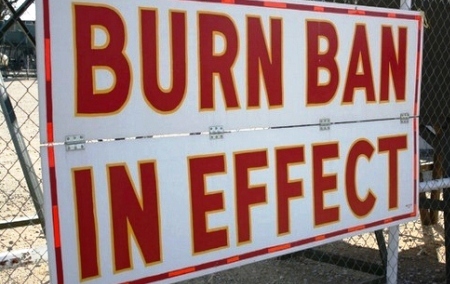 The City of White Settlement along with other areas in North Texas issued a burn ban on Monday of this week. 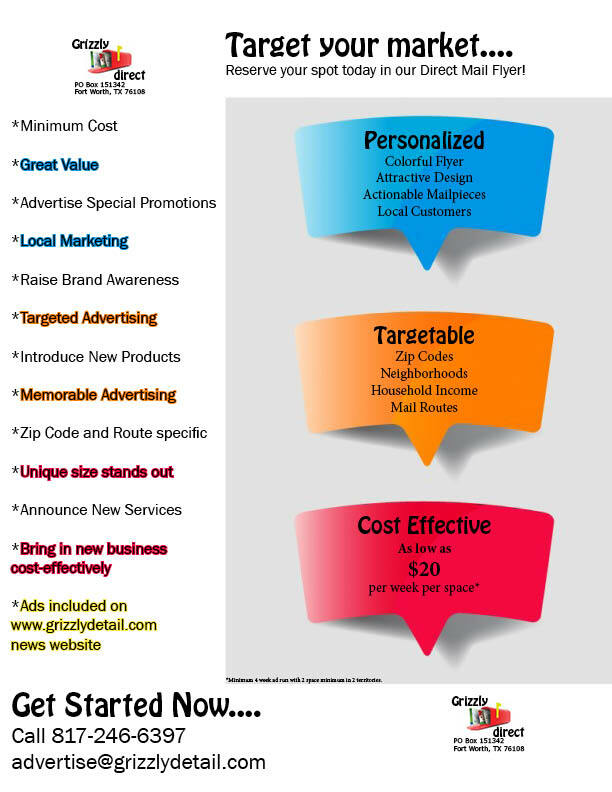 It includes any outdoor burning of firepits or trash as well as any outdoor welding. Currently, it is ok to grill with propane gas. On non-red flag days, charcoal grilling or manufactured smokers may be used. A kitchen grease fire broke out at an apartment in the 100 block of S. Las Vegas Trail on Saturday evening. 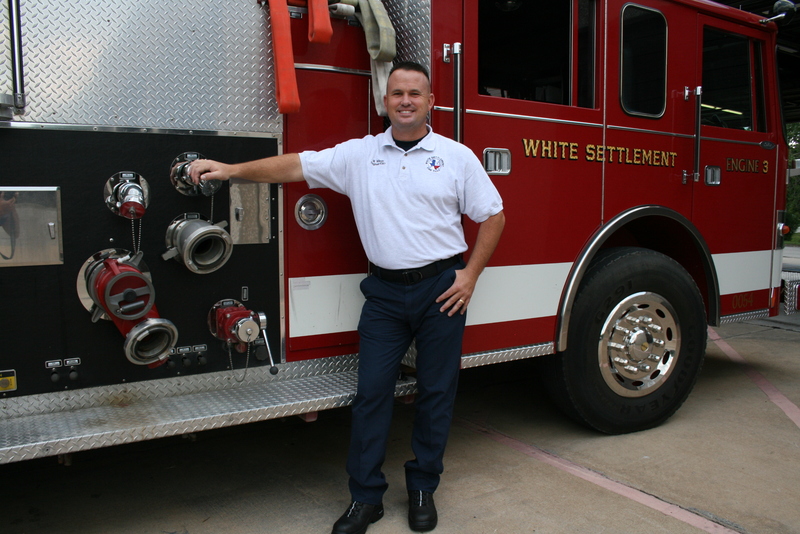 Three engines responded from the White Settlement Volunteer Fire Department. The fire was put out before causing damage to other units in the building. “Thanks to the 3-man staff of firefighters at the station, we were able to respond to the fire and keep damages minimal,” said Fire Chief Brian Thompson. Heavy smoke fill the one unit and firefighters had to cut a whole in the ceiling to make sure no active flames were burning in the attic. 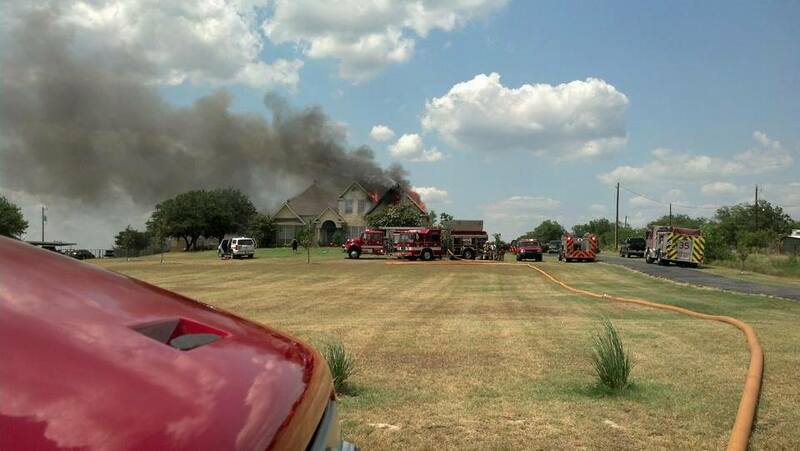 Fort Worth Firefighters battle a house fire in Tejas Trails. The fire was started by a lighting strike this past week. 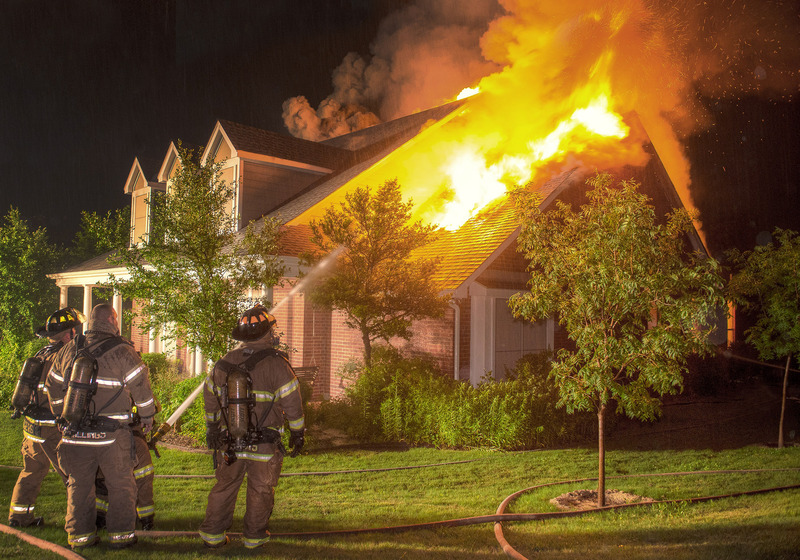 Area residents watched a plume of smoke fill the sky as a unoccupied house was burned by the fire department in a training exercise this past week. White Settlement firemen trained on roof ventilation techniques before setting this house ablaze on Wilbur Street. 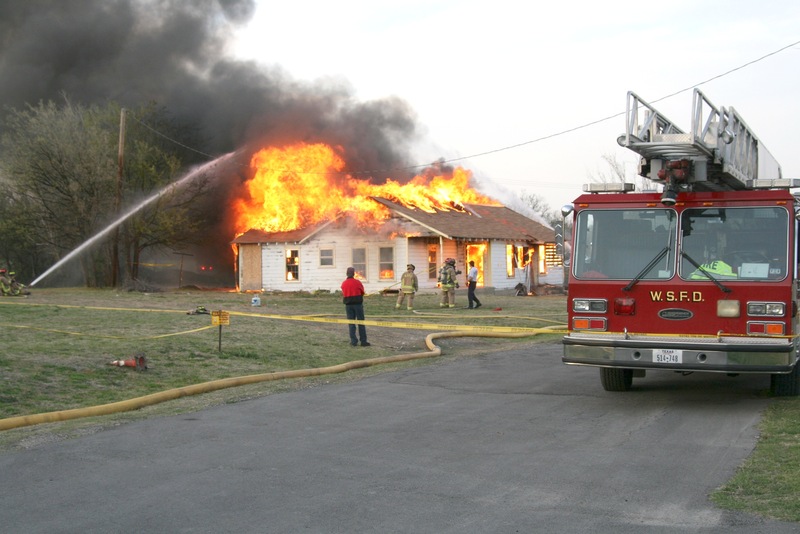 The house was a vacant, city owned property. 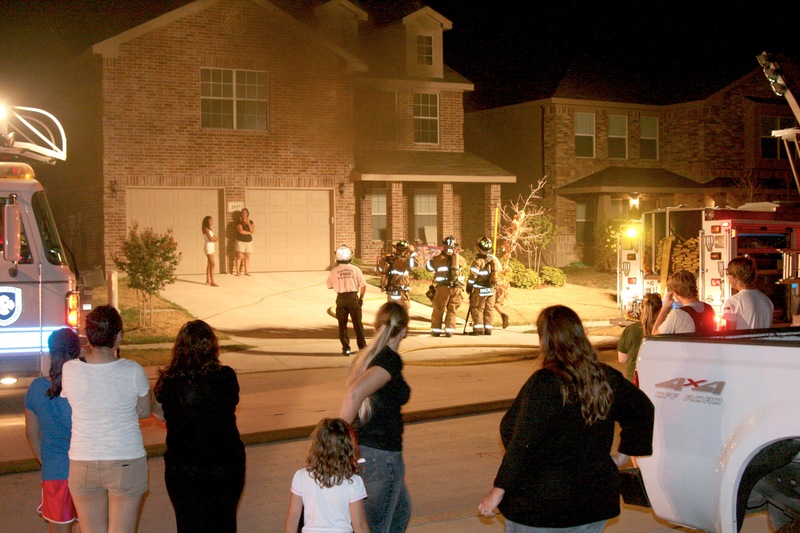 Area neighbors watched as firefighters battled a fire and heavy smoke at a two-story home in the 2900 block of Wispy Trail in west Fort Worth. The first call came in around 9:45 p.m. last Wednesday. At least 7 units responded to the scene as onlookers saw thick, black smoke pouring from a 2nd story window on the front of the house. Firefighters used several hoses to extinguish the flames and a large air circulating fan to move the heavy smoke from the house. The cause of the fire was under investigation and a dollar amount for damages was unavailable. White smoke poured from the garage and attic turbines this past Friday morning around 9 a.m. as Fort Worth firefighters arrived in the 600 block of Burlington Ave. in Westpoint. Firefighters search the garage area for the cause of the fire at this house in west Fort Worth. 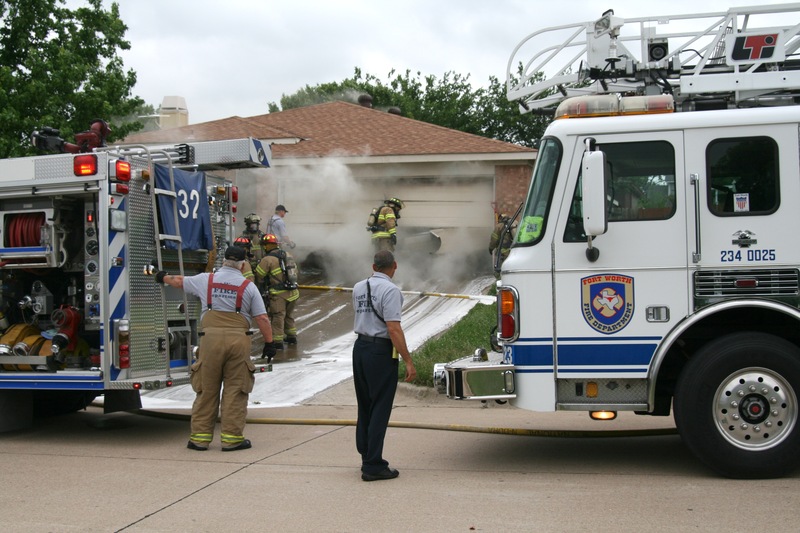 Engine 32 was the first of five units to respond to the scene where firefighters entered the home through the front door and immediately attacked a blaze in the garage area. Other crew members from Engines 16 and 23 used a gas powered circular saw to cut an opening in the garage door for ventilation. 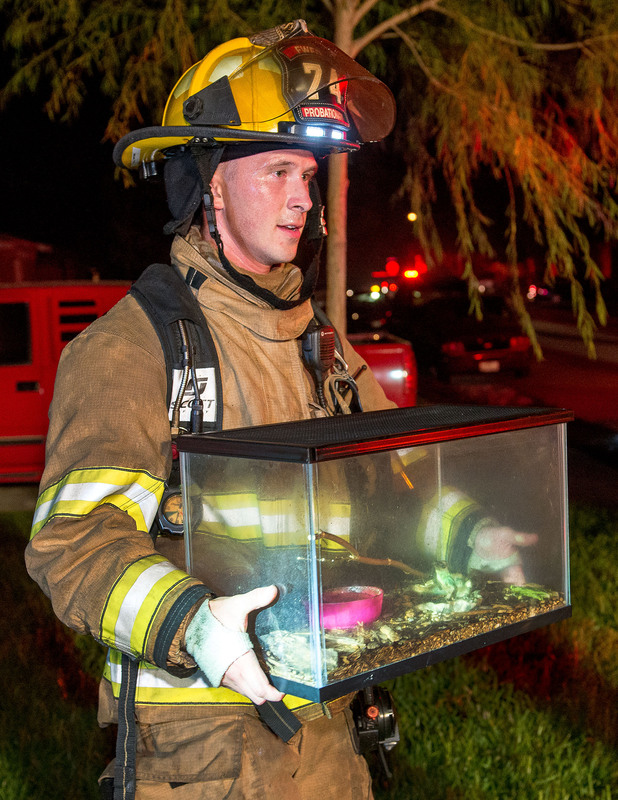 The occupants of the home escaped safely and firefighters found the homeowner’s pets safe and secure in another part of the house. No information was available on what started the fire. 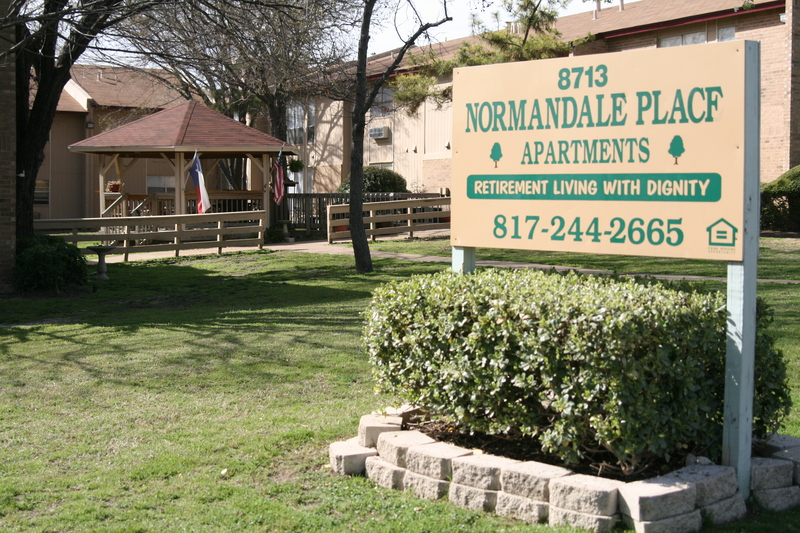 Fire officials responded to a small fire this past week at Normandale Place apartments on the west side. 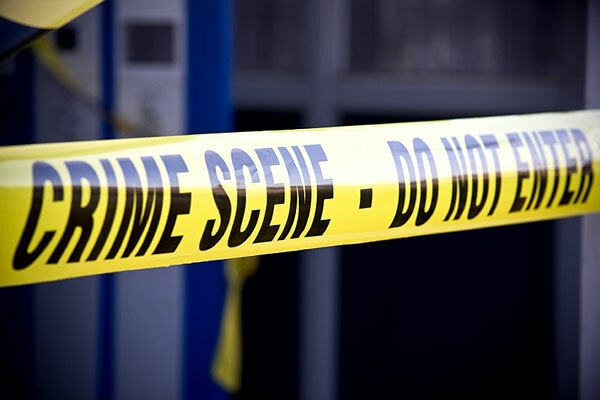 One woman was treated for unknown injuries at a nearby hospital. 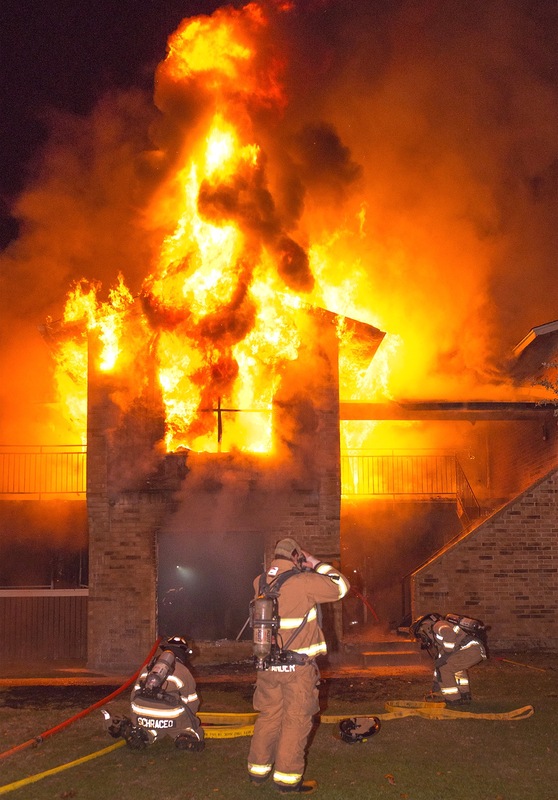 The call came in just after midnight at the two-story complex that advertises as a retirement community. A maintenance worker used a fire extinguisher on the fire as firefighters arrived on scene. 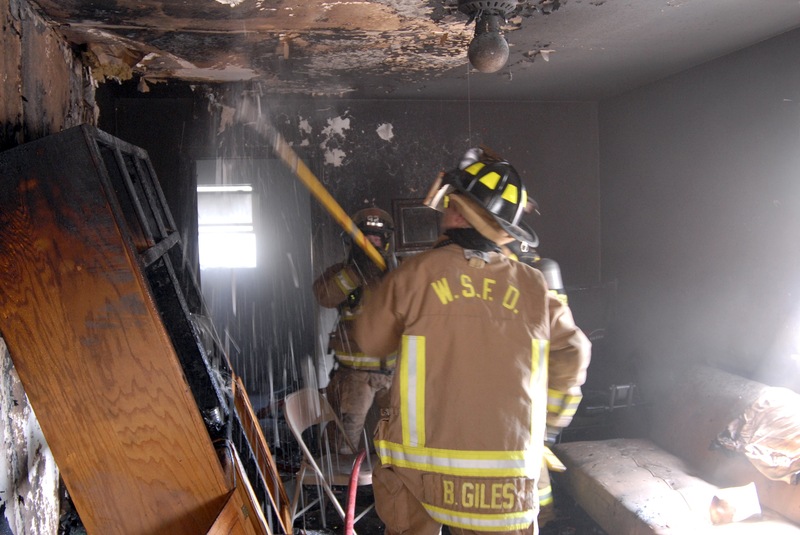 The fire was determined to be accidental and the damage estimate was undetermined. 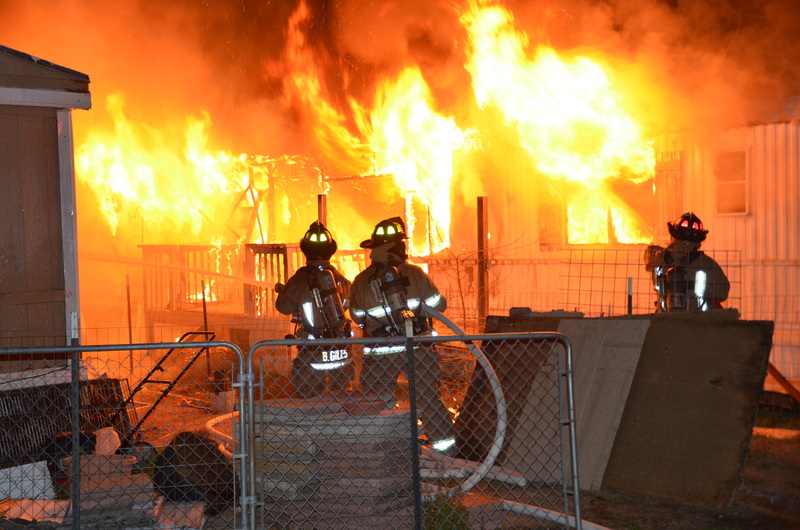 Fire broke out in a vacant mobile home in the Rollahome Park in the 200 block of South Grants Lane this past Saturday night around 8 p.m. 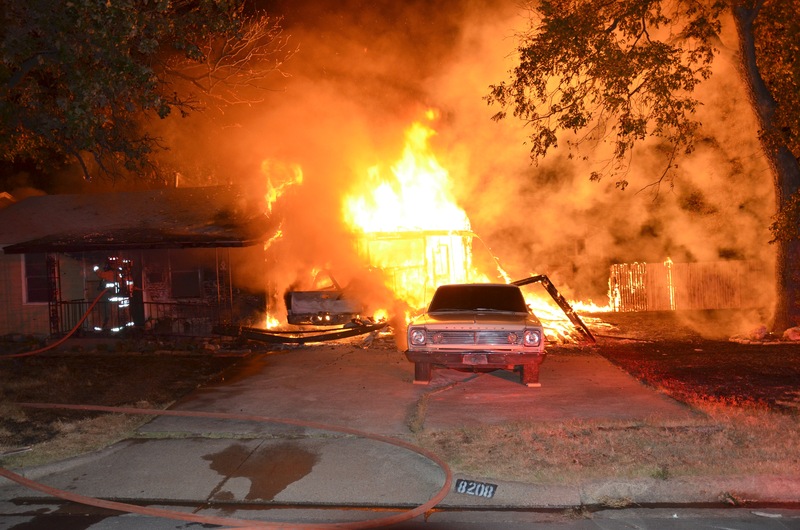 The home was fully engulfed in flames as the first crew on Engine 2 from the White Settlement Volunteer Fire Department arrived on scene. 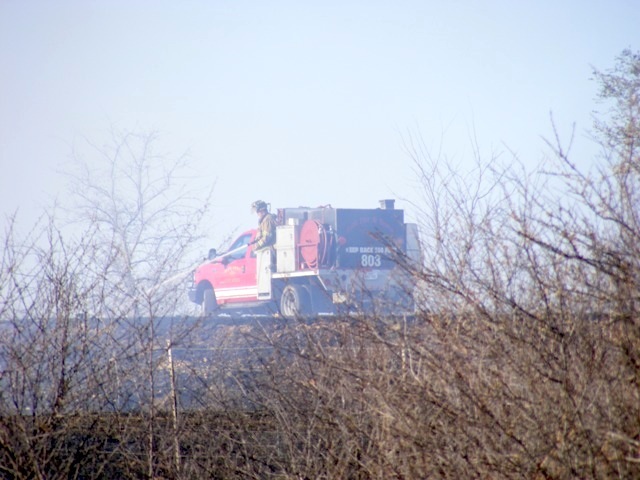 Mutual aid was received from Lockheed Engine 27. 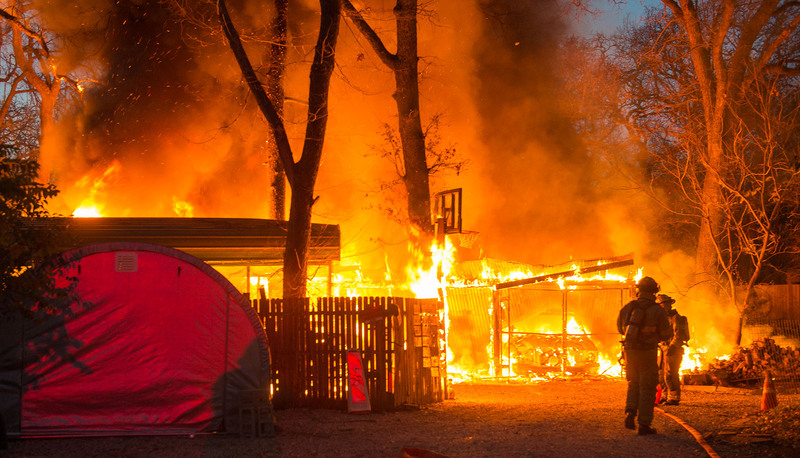 Lieutenant Steve Osborn, Engineer Kevin Richter, Firefighter’s Brady Graham and Brandon Giles protected other mobile home units in the area before beginning fire suppression on the engulfed structure. Currently, mobile home trailers in the complex are either being demolished or moved to another site. No one was injured in the fire which was suspicious in nature and remains under investigation.